So many people are gonna die from inexplicable freak accidents. That's one way of navigating 2016's Hitman -- make everything look like an unfortunate act of god. It's a whole lot less conspicuous than a bullet hole between the eyes. For anyone who missed out on Hitman the first time 'round (or via the "Complete First Season" re-release), there's another version of the game that released today. It's Hitman: Definitive Edition, which includes all six episodes from the base game, the bonus missions from the digital Game of the Year edition, some exclusive weapons and outfits, and the PS4 Pro and Xbox One X enhancements. It's the most complete version of Hitman that's out there. However, it's kind of missing one notable piece. The Elusive Target mission were all limited-time and won't necessarily be Definitive Edition buyers. Back in November, they were reactivated for anyone who didn't attempt them during the targets' first appearances. It seems like that's an opportunity that will (or at least should) repeat itself at some point in the future. This $60 all-in version of Hitman represents more than just a physical edition at the tail-end of a fantastic game. It also marks Warner Bros. first public-facing move as the new publisher of Hitman. 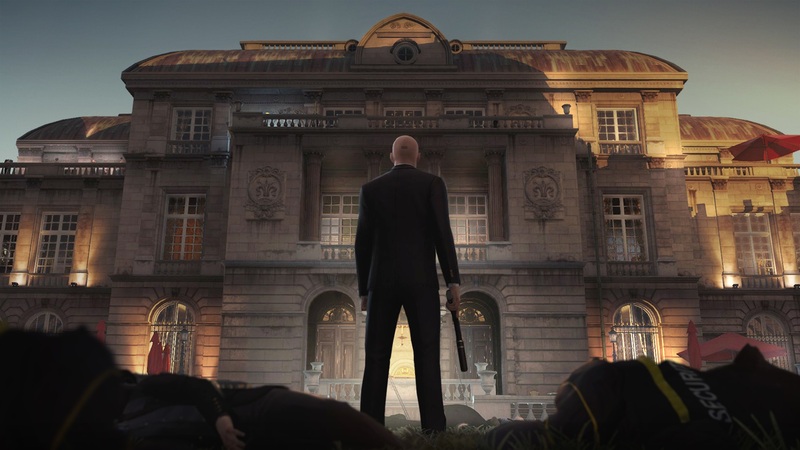 It's just the start and hopefully developer IO Interactive will be given the freedom to evolve the series in a way that continually surprises like this Hitman game did. But, it's also just so wonderfully fitting that Warner Bros. introduction was through a Game of the Year edition.